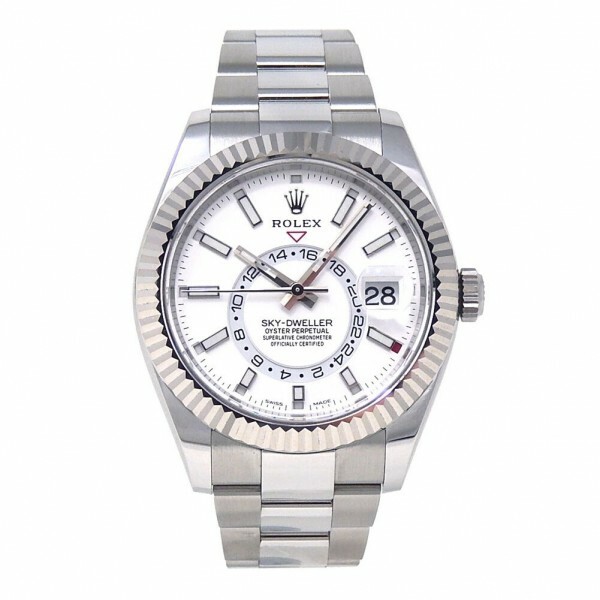 We’ve all heard about splendid appearance and high precision of Rolex watches. These incomparable timepieces are rightfully considered to be the symbol of great taste, prestigious image and incredible wealth. 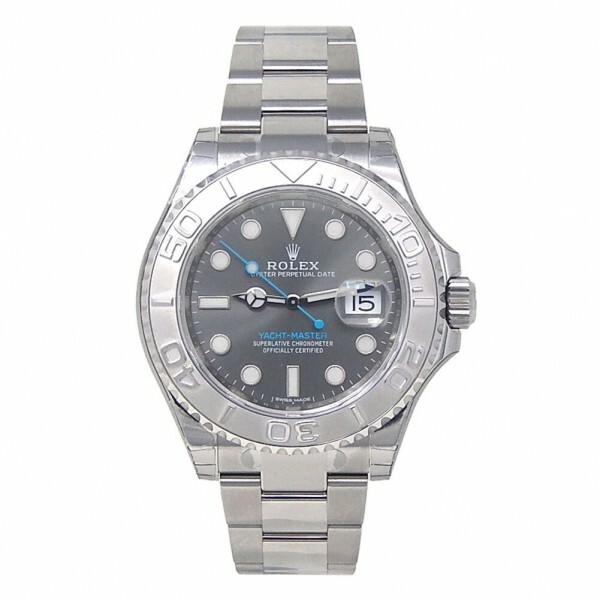 Rolex watch may also become a profitable purchase, as it is always a good investment. Soft pinkish color of 18-karat rose gold turns this particular Rolex Day Date President into refined luxury watch. The whole appearance of it has a subtle touch of tenderness. Inside its 40mm round case with faceted golden bezel there is a 12-hour white analog dial with big gilded Roman numerals and hands, alongside with plated non-numeric hour marks. This sumptuous timepiece also features day and date indicators. Thanks to the sapphire crystal, this high-end time device is scratch-proof and has great water-resistance rating of 100 meters. Made of 18-karat rose gold link band bracelet is really comfy to wear. This opulent wristwatch is powered by self-winding automatic movement and gives its owner a 70-hour power reserve. Impressive bright look of this peculiar Rolex watch is achieved by the usage of shiny stainless steel and scratch-resistant sapphire crystal. This casual timepiece as well has 100-meter watertightness and is equipped with Swiss-made automatic self-winding movement. Its 40mm spherical case with rotating bezel contains a dark rhodium 12-hour luminescent dial with non-numeric hour indexes, radiant hands and a 3-o’clock date window. This luxury watch provides convenient 48-hour power reserve. Its stainless steel bracelet has a safety clasp – Oysterlock, so it’s not only pleasant to wear, but pretty secure as well. Another outstanding Rolex time device is Rolex Sky Dweller. It offers such helpful features as dual time function, scratch-proofness and water-resistance of as much as 100 meters. Due to the white color of its analog dial you can easily see the date and time in both time zones. This luxury watch has a 42mm rounded stainless steel case with curved rotatable bezel. The light display also contains translucent steel hands and non-numeric hour markers, plus a date indicator at the 3-o’clock position. Running on a self-winding automatic movement, this top-quality timepiece also suggests remarkable 72-hour power reserve! 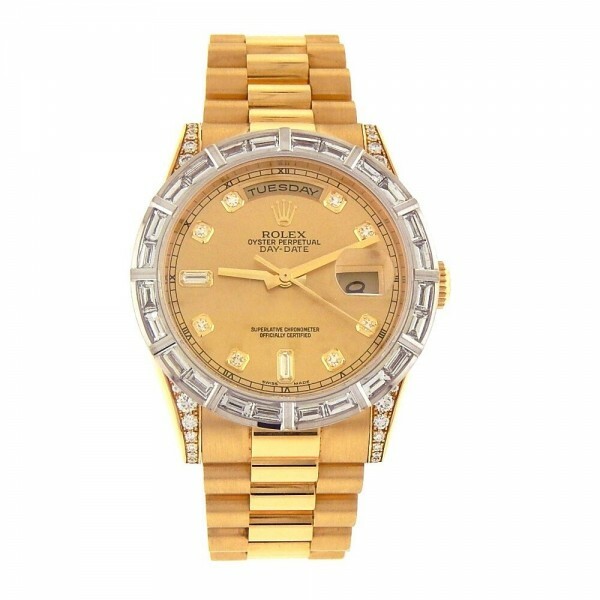 Opulence and wealth are proximate synonyms for this beautiful Rolex wristwatch. Constructed out of expensive 18-karat yellow gold and sapphire crystal, this luxury watch also has sparking diamond accent. Its case, bezel and lugs are gemmed with tiny shimmering diamonds. In addition, instead of hour indexes there are little rounded gems. This high-quality time device features a spherical 36mm solid gold case with a champagne dial that displays as well date and day windows. It uses an automatic self-winding movement. Being scratch-resistant and waterproof up to 100 meters, this lovely timepiece won’t lose its special appeal under any circumstances. Fortunately, there is a lot more that Role watchmakers can suggest to a demandable timepiece connoisseur. To search further, please take a look at our collection of pre-owned luxury watches.